A Cornell student had their 2013 15” MacBook Pro battery rupture in mid-June. It was in a backpack that started to “smoke” during a class. Fire personnel and Police were called in and fortunately, the laptop did not catch fire; only one battery cell was involved. Laptop and phone batteries (or any lithium ion battery), under some very unusual circumstances, can begin to swell. Swelling can cause a rupture which leads to what Apple refers to as a “thermal event”. Batteries expand when gas builds up inside of the battery cell. Over charging from a faulty charger, extreme heat, and a manufacturer fault in the battery can cause swelling to occur. In this case, one battery cell expanded to the point of rupture causing smoking and extreme heat. In some cases, this can cause a fire. This is one of the first such situations we’ve seen at The Computing Center. Once we got the machine into our shop, we were able to determine that only one of the six battery cells in this model had ruptured. The remaining cells were, thankfully, unharmed and stable. In a stroke of luck, we were able to recover most of the data contained on the Solid State Drive (SSD). At the bottom of this article is some of the details regarding this event. As many of us know, Apple Computer does a pretty good job of controlling the security features of their two main operating systems, Apple IOS for iPhones and iPads, and Apple OS X for most Mac computers.. They do such a good job that most people don't have any special security software installed on their machines and devices. But, they are NOT perfect. 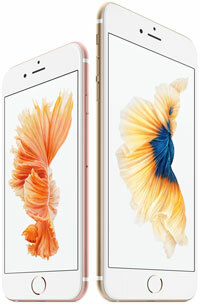 Editors note - It's been all over the news and Apple has already pre-sold millions of units. Here is Apple's news release on the major features of the new iPhone 5.